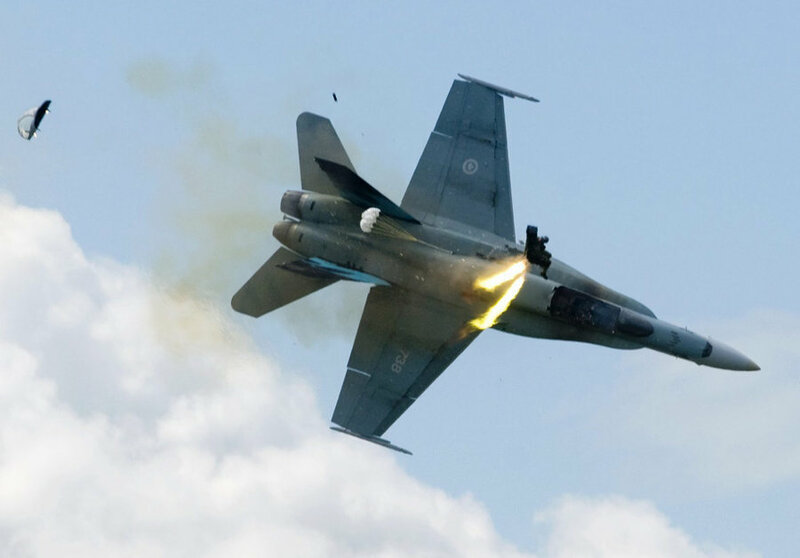 With only a split second before his plane hit the ground in giant ball of flame, this air force pilot miraculously managed to eject to safety. 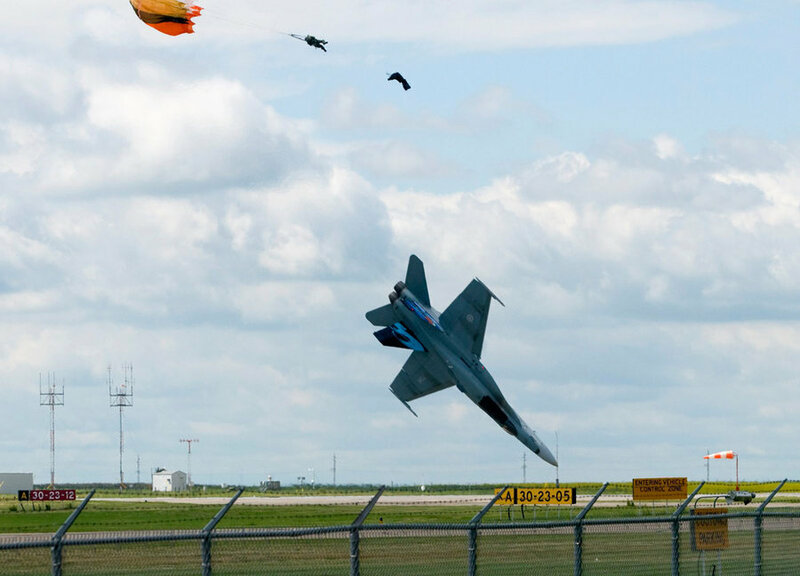 As Captain Brian Bews, 36, of the Royal Canadian Air Force performed a daring low pass of an airfield yesterday, his CF-18 fighter jet suddenly stalled. 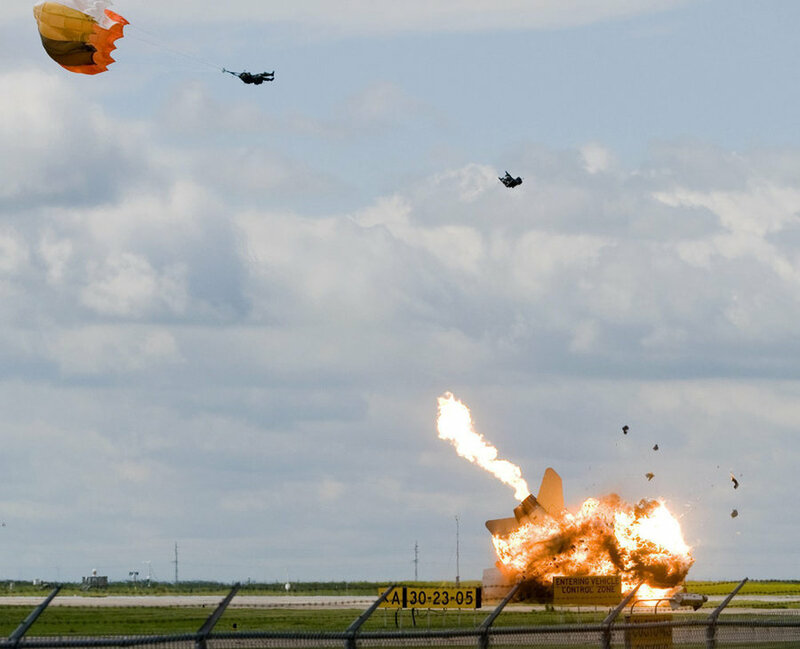 But his quick reactions and his rocket-powered ejector seat saved his life as he was catapulted out of the stricken £30million aircraft.